Swarovski latest additions includes an online exclusive of New York’s Statue of Liberty. One of New York’s most famous landmarks, the Statue of Liberty, is interpreted in stunning clear crystal in this spectacular design. Featuring 217 bold and intricate facets, this dazzling piece feels at once modern and timeless. Remember a favourite holiday, or dream of your next destination, with this spectacular creation. 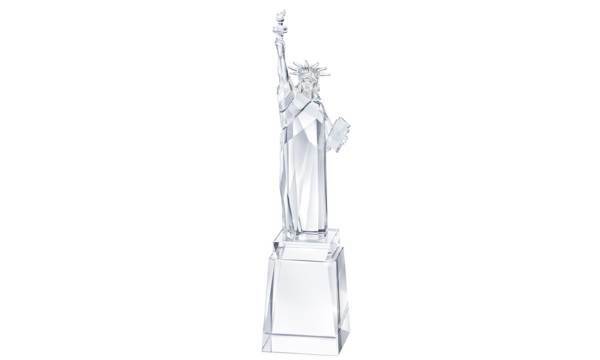 The Swarovski Statue of Liberty is priced at £129 in the UK and $199 in the US. It measures 13.6 x 3.1 x 3.1 cm.